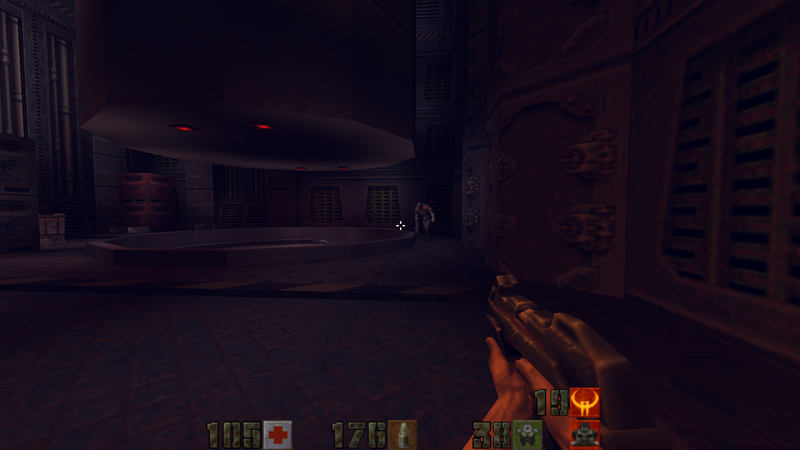 This particular track you hear is Track 4 on the Quake II CD-ROM; the game incorporated Red Book Audio meaning you could play the soundtrack in your regular CD music player. It's called "Kill Ratio" and it's one of my favourites as it's got that classic, metal feel to it, sprinkled with a bit of synths towards the end. When I think of the term "Kill Ratio", I think of the gaming concept "Kill to Death Ratio" or "KDR" which can sometimes be the bane of my existence when playing team-based FPSs. Listen folks, KDR is admittedly pretty important in deathmatch, but for anything else, KDR should be secondary to ensuring your team wins, mmmkay? Okay enough preaching, just sit back and enjoy the music.